Fits 9 speed Campagnolo freehub bodies with a 26.0mm outside thread diameter (All 1997-98 and 1999 Athena, Veloce, and Mirage hubs). For use with cassettes with a 12 or 13 outer tooth (not 11). 26.0mm outside thread diameter. 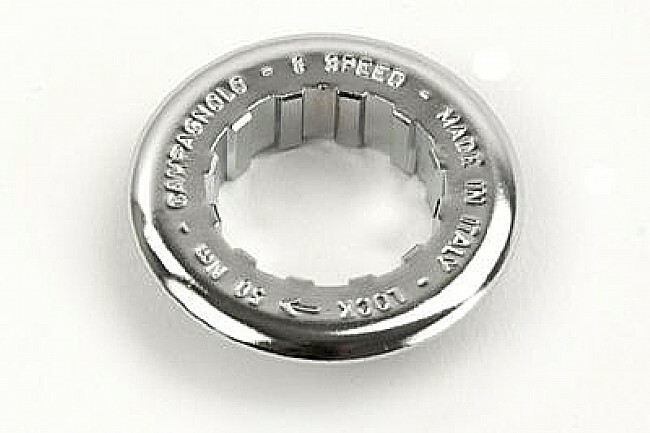 Will work with 8-, 9-, or 10-speed cassettes as long as the freehub body threads are 26mm in diameter. Machined from nickel chrome steel and chrome plated for extra durability. 18 grams.